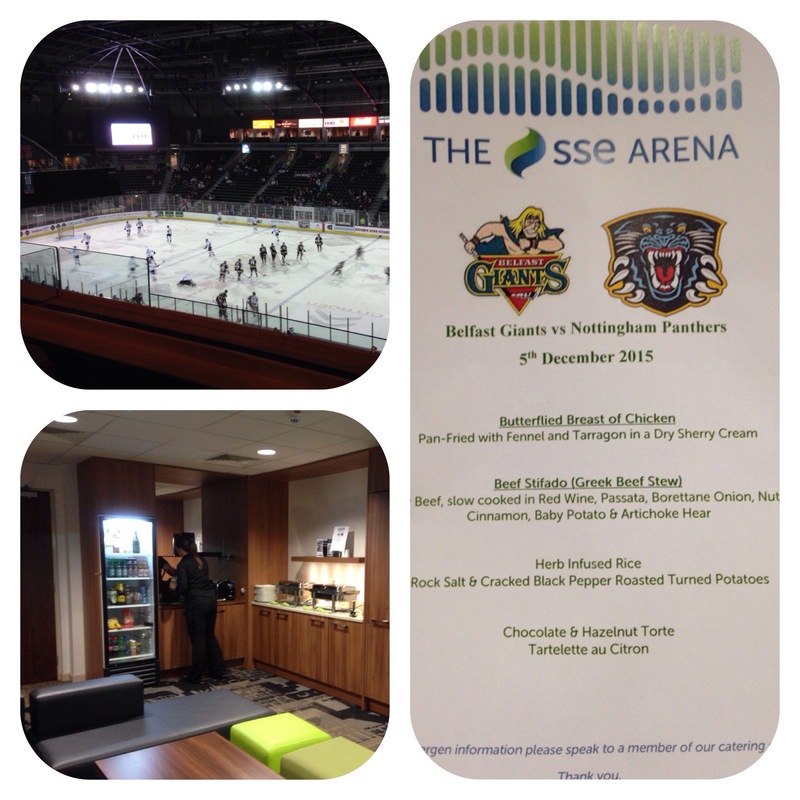 Myself and my wife were at the SSE Belfast last night to watch The Giants play Nottingham Panthers. We were with seven others in a suite overlooking the arena. The atmosphere was great and our hostess was amazing. The food looked and smelt great. There was herb infused rice which was lovely and perfectly cooked. The Beef dish, I’m told, was great and the Chicken in fennel and tarragon was nice but sauce was a bit thin and needed a bit more seasoning. The roasties were a treat and the sweet wheaten and soft butter really complimented it well. 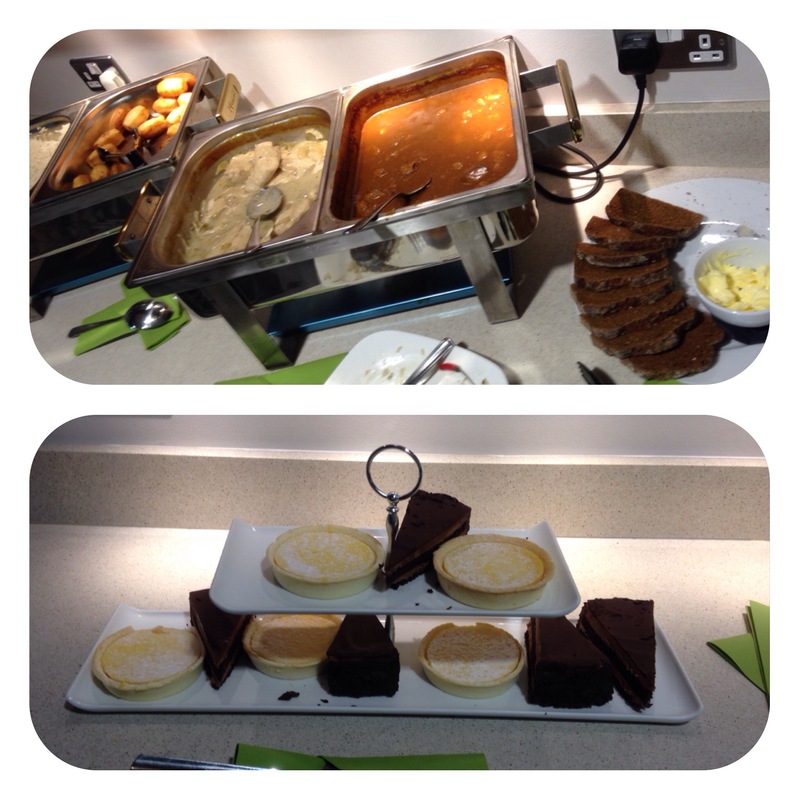 For afters we had a divine chocolate cake and a beautiful lemon tart and fresh cream. Great night which made up for the Giants losing 3-2!!! !